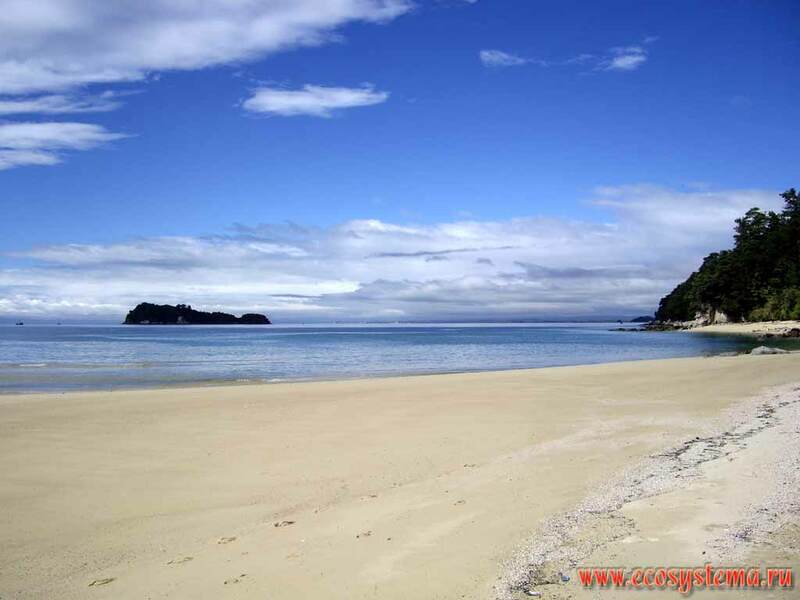 Sandy beach on the shore of Tasman Sea. "Fisherman Island" is far away. Abel Tasman National Park, Tasman Sea.